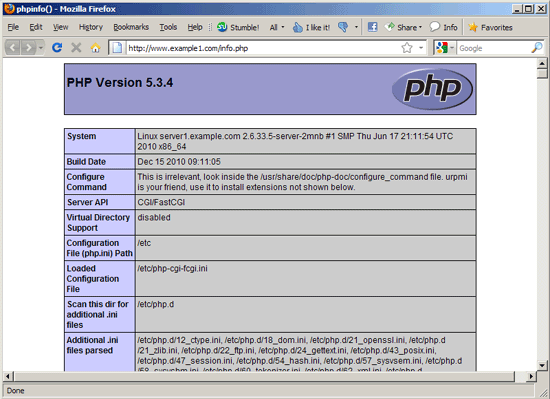 This tutorial describes how you can install Apache2 with mod_fcgid and PHP5 on Mandriva 2010.1 Spring. mod_fcgid is a compatible alternative to the older mod_fastcgi. It lets you execute PHP scripts with the permissions of their owners instead of the Apache user. I'm using a Mandriva 2010.1 Spring server in this tutorial with the hostname server1.example.com and the IP address 192.168.0.100. 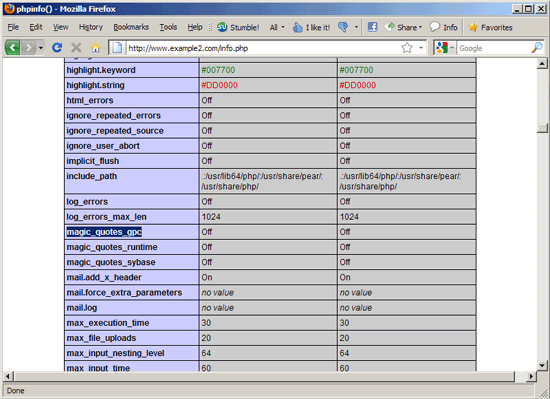 I will create two Apache vhosts in this tutorial, www.example1.com and www.example2.com, to demonstrate the usage of mod_fcgid. I will now create two vhosts, www.example1.com (with the document root /var/www/web1/web) and www.example2.com (with the document root /var/www/web2/web). www.example1.com will be owned by the user and group web1, and www.example2.com by the user and group web2. Therefore we cannot call the PHP binary (/usr/bin/php-fcgi) directly because it is located outside suExec's document root. As suExec does not allow symlinks, the only way to solve the problem is to create a wrapper script for each web site in a subdirectory of /var/www; the wrapper script will then call the PHP binary /usr/bin/php-fcgi. The wrapper script must be owned by the user and group of each web site, therefore we need one wrapper script for each web site. I'm going to create the wrapper scripts in subdirectories of /var/www/php-fcgi-scripts, e.g. /var/www/php-fcgi-scripts/web1 and /var/www/php-fcgi-scripts/web2. 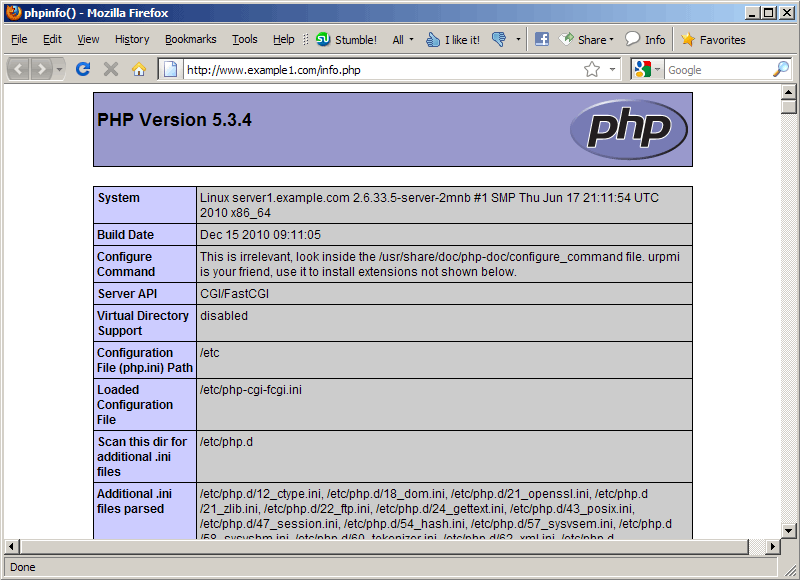 The PHPRC line contains the directory where the php.ini file is located (i.e., /etc/ translates to /etc/php.ini). 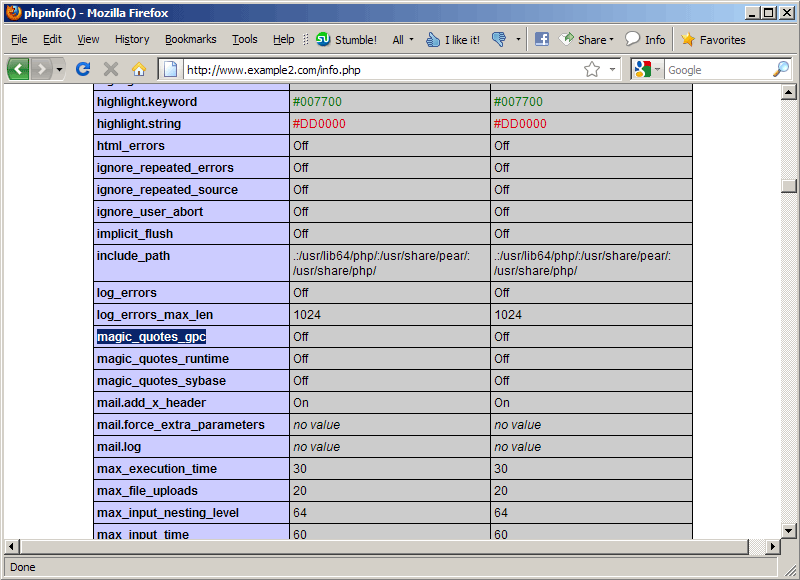 PHP_FCGI_MAX_REQUESTS is the maximum number of requests before an fcgid process is stopped and a new one is launched. PHP_FCGI_CHILDREN defines the number of PHP children that will be launched. Make sure you fill in the right paths (and the correct user and group in the SuexecUserGroup lines). How To Set Up Apache2 With mod_fcgid And PHP5 On Mandriva 2010.1 Spring as ready to use virtual machine image download in ovf/ova format, compatible with VMWare and Virtualbox.